Another 15 minute portrait done at break time. I used water soluble pencil for the dark areas and washed the sketch after I got home. 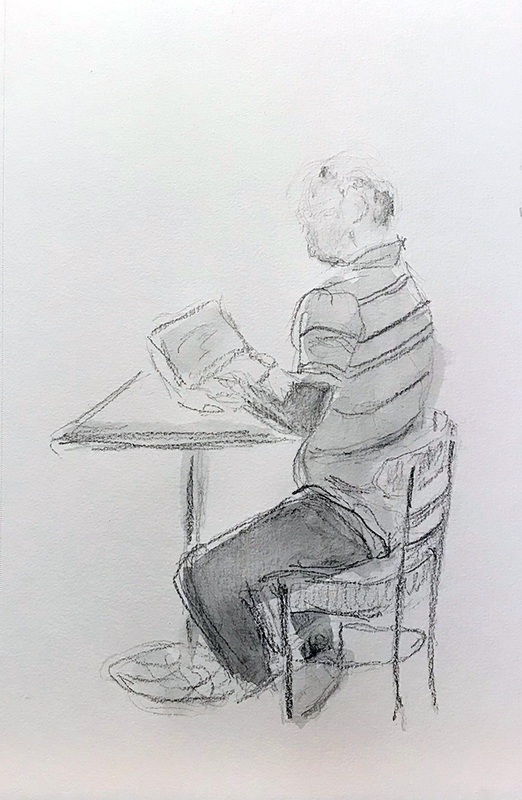 This entry was posted in Personal Stories and tagged 15 minute sketch, art, artistic process, creative process, creativity, drawing, pencil sketch, sketch, typing, visual art. Bookmark the permalink.